Wile fishing aboard the Starfish Party boat hear in Sea Isle City Jim landed this rare Spade fish. It was 4 pounds 9 ounces and 16 inches long. After a day of catching sea bass Jim said it felt like he had Jaws on the end of the line. I spoke with Capt. Mike Weigle about the spade fish and he said with in all the years he has been running party boats this is only the 2nd one he had ever seen. Weigh-ins: 7am – 7pm November 9th and 7am – 3pm November 10th. You must be on the property with fish no later than 3pm November 10th to qualify. All weigh ins will be at Sea Isle Bait and Tackle. Captains meeting: 6pm November 8, 2013 at Sea Isle Bait and Tackle. Awards Ceremony: 5pm Sea Isle Welcome Center JFK and Park Rd across the street from Sea Isle Bait and Tackle. Sodas, sandwiches and sides provided. Montauk, NY. 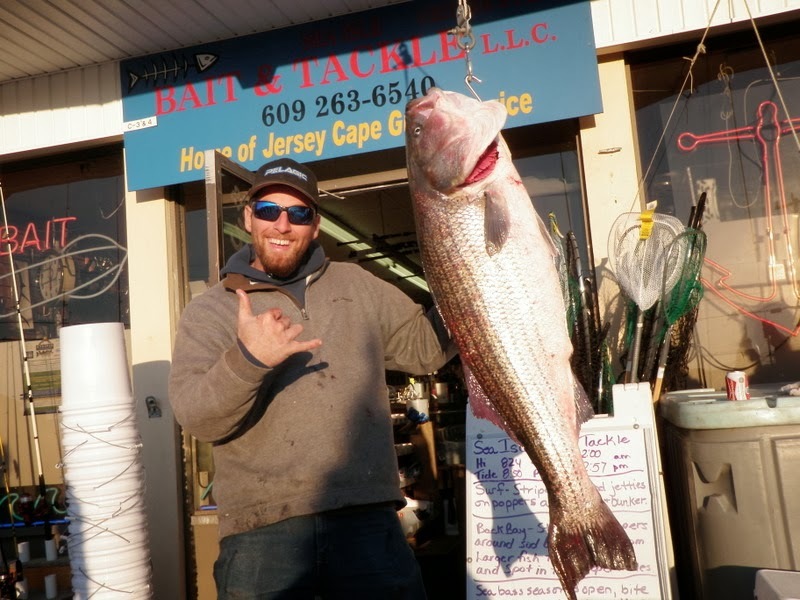 The report from Montauk it he stripers and blues have started to school up to begin there trip south to Sea Isle City  !!!! It wont be long now till they are in this aria. This is Anthony with a real nice striper just shy of 30Lb and roughly 40 inches. He bit wile they where trying to catch some Albies on 10 pound power pro and a little Jig. Anthony, John and Captain Joe Hughes of Jersey cape guide service had some great fishing this weekend with Blues stripers and some Albies. Montauk, NY. The report from Montauk it he stripers and blues have started to school up to begin there trip south to Sea Isle City J !!!! It wont be long now till they are in this aria. 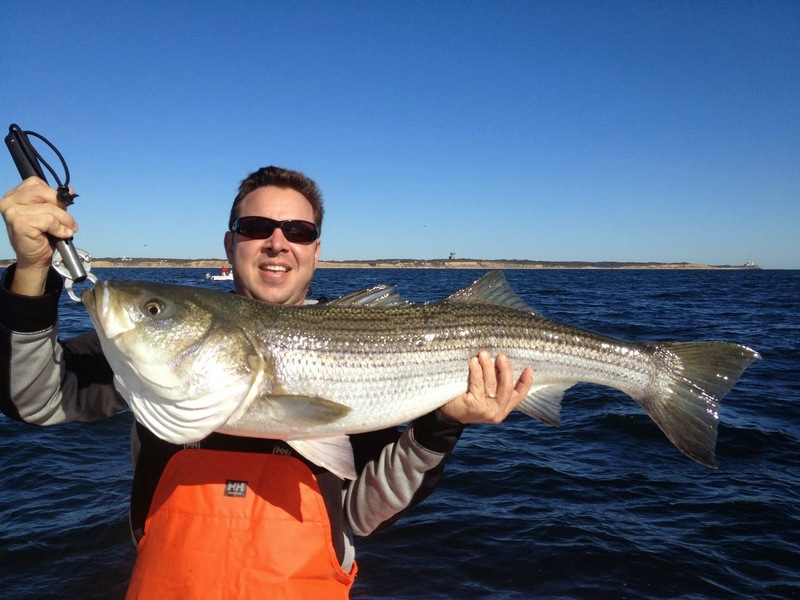 This is Anthony with a real nice striper just shy of 30Lb and roughly 40 inches. He bit wile they where trying to catch some Albies on 10 pound power pro and a little Jig. Anthony, John and Captain Joe Hughes of Jersey cape guide service had some great fishing this weekend with Blues stripers and some Albies.